A really flavorful beef stew with a rich broth is the perfect cold-weather meal, and this one is almost substantial enough to make a whole meal on its own. It’s based on a real homemade bone broth (do it once and you’ll never go back! 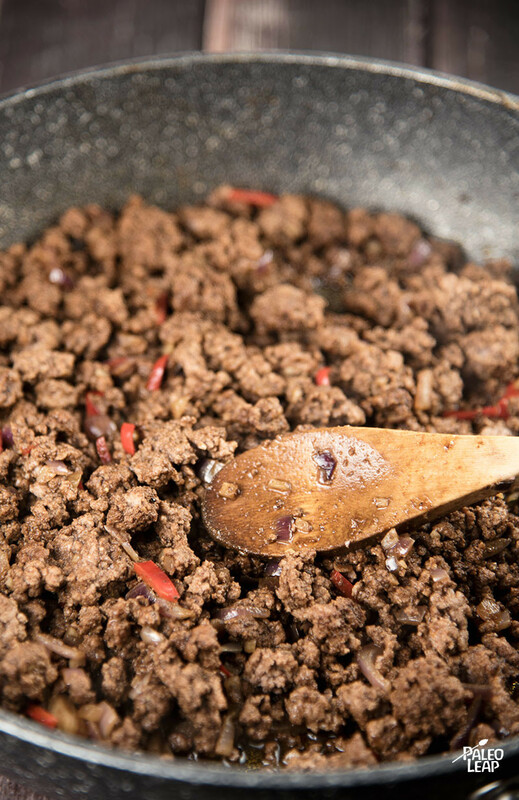 ), and the beef and vegetables get jazzed up a little with jalapeno pepper, chili powder, and other spices. 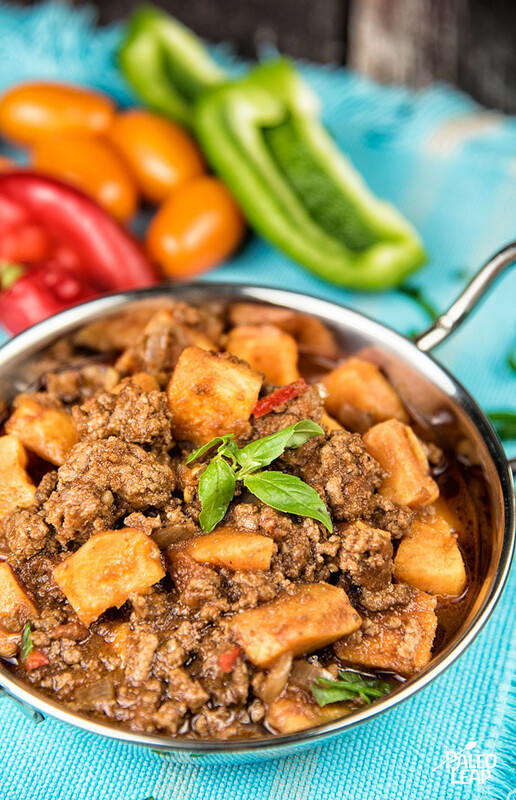 The contrast keeps the stew from being bland or boring, but doesn’t give you something so spicy your eyes start watering when you pick up a spoonful. If you’re worried about any upcoming stressful events this winter and want to make sure you’re prepared, it wouldn’t go amiss to make a big batch of this and save it in the freezer for emergencies. And if you don’t end up needing it, it would also be a great present for anyone else in your life who needs a little help. If you want a little more than a bowl of stew at a meal, try this recipe with roasted mushrooms or a salad with enough body to really stand up to the stew? Or just throw the stew in a thermos, grab an apple to go with it, and bring it to work for an easy and energizing lunch. In large saucepan, melt some cooking fat over a medium-high heat. Brown the onion and garlic until soft. Add the chili powder, oregano, cumin, paprika, and season with salt and pepper to taste. Give everything a good stir. Reduce to a simmer and cook, half-covered, for 40 to 45 minutes.